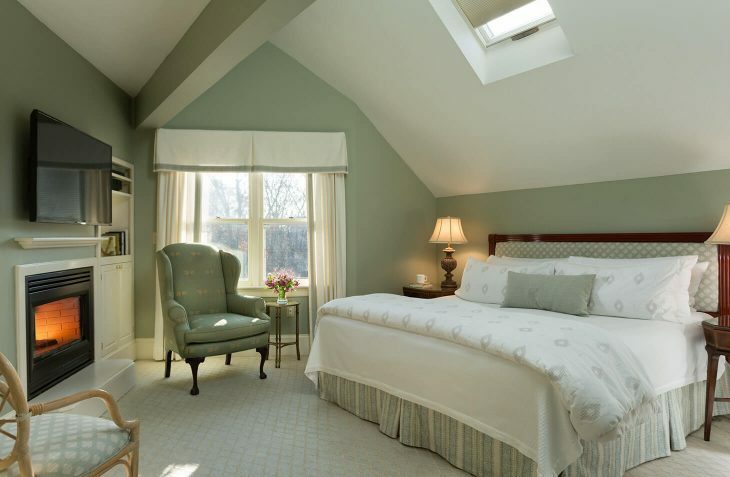 Newly renovated second floor suite with a small sitting room containing convertible loveseat, TV and skylight. The bedroom has a king bed, cathedral ceilings, gas fireplace, large flat screen HDTV, Bose stereo and small refrigerator. 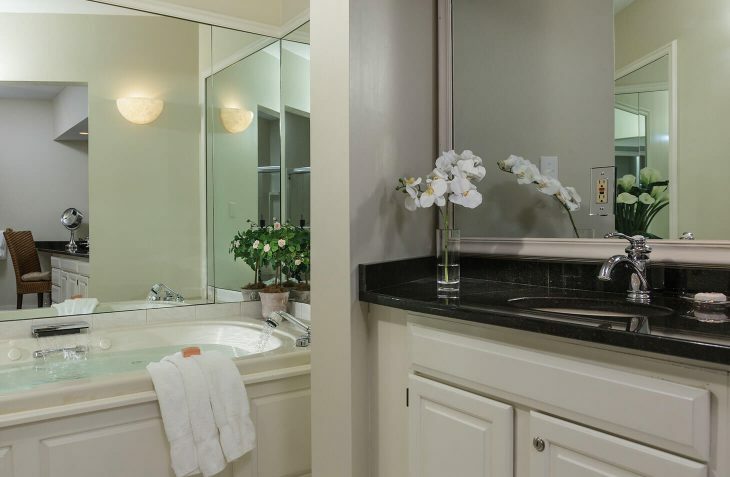 The large bathroom is appointed with his and her sinks and a makeup area. 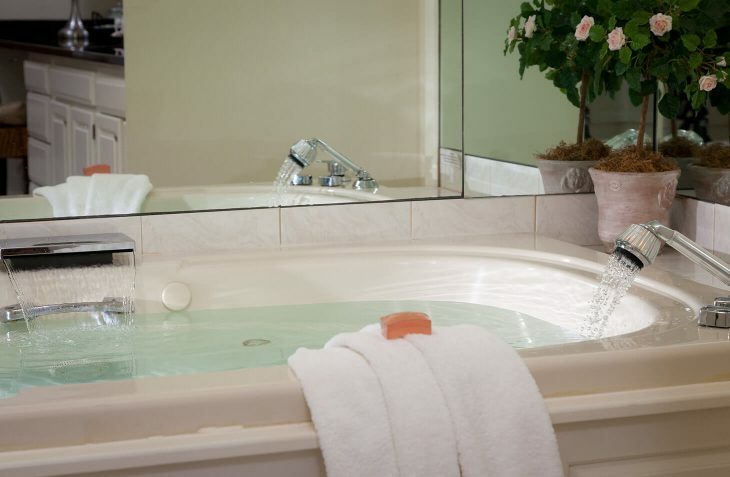 There is a double Jacuzzi tub in an alcove and a large walk-in rain shower, both plenty big enough for two. 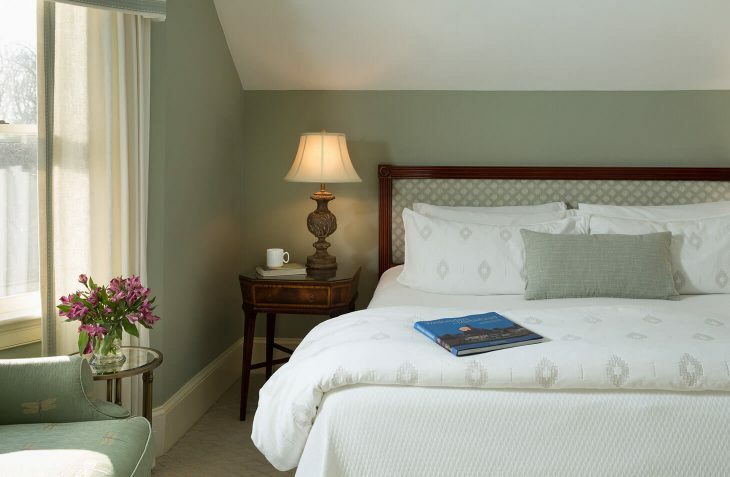 Exceptional Marblehead, MA lodging awaits at our romantic bed and breakfast.